Wildfires are not a rarity across the state of California. In fact, in 2018 alone there has been a staggering total of 7,579 recorded wildfires - a figure that is sure to climb by the end of the year. With numbers like this in mind, it is essential that people are taking the time to understand the importance of communication tools and which ones can be used most effectively in the wake of a crisis. There may be numerous interactive resources available but not all are as useful in the event of an emergency, as unforeseen circumstances can sometimes interfere with signal and range. Kerr further reports “there has been no one good way to share reliable information and even for people like me, whose phones did work, at the time there were numerous questionable maps and ultimately no good way to track fires”. Nobody can predict such events from occurring so it is difficult to prepare when one does arise. Kerr mentions, even when she could use her phone to communicate, there was still an element of hesitation around what systems she should follow. It is clear that when confronted with a crisis it isn’t always easy to react and respond in a quick efficient manner, so when your usual communication tools are failing you, where do you turn for guidance? To help with this issue we’ve provided a few extra communication tools that can hopefully aid those in need in the event of a crisis. Kitestring is a personal safety service. You can ask Kitestring to check up on you at some future time, and Kitestring will text you to make sure you’re safe. You can reply to the message or check in on the website. If you don’t check in, Kitestring alerts the emergency contacts that you set up ahead of time. Key feature - Most apps are triggered by some action, like pushing a big red button or shaking your phone. In the wake of a fire, people are not often afforded this type of required action. Kitestring is actually triggered by the victim’s inaction. When you make a call with SOS, your iPhone automatically calls the local emergency number. You can also add emergency contacts. After an emergency call ends, your iPhone alerts your emergency contacts with a text message, unless you choose to cancel. Your iPhone sends them your current location, and, for a period of time after you enter SOS mode, it sends updates to your emergency contacts when your location changes. 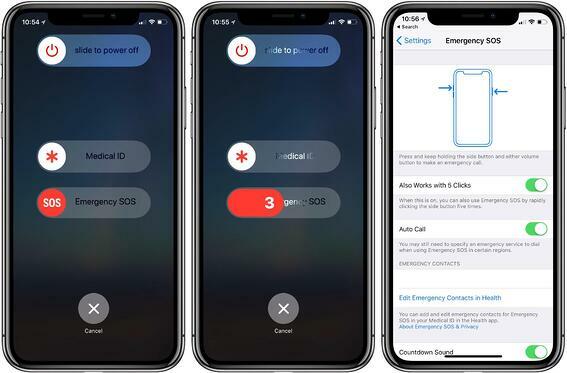 To activate the emergency SOS services, all you need to do is hold the side button and one of the Volume buttons until the Emergency SOS slider appears (iPhone 8 or later). For iPhone 7 or earlier you will just need to rapidly press the side button 5 times. 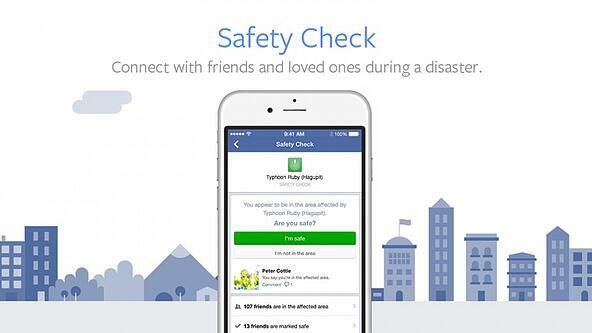 Facebook Safety Check is a feature that is activated by the company during natural or man-made disasters and terror-related incidents to quickly determine whether people in the affected geographical area are safe. When a crisis like this occurs Facebook will prompt you to let your loved ones know you’re safe. When you click the safe button FB will blast that notification out to your friends and family so they can acknowledge your current status. It is important to note that these tools may not always be the best solution and you should remember that your national emergency procedures should always be the 1st point of action. We wish we had the perfect answer/response that could solve this communication crisis but unfortunately, there isn’t a one fix wonder that can alleviate such a problem. One encouraging sign to come out of this tragedy is the remarkable resilience from the people of California. With so many still unaccounted for, the heroic nature individuals have shown to help relieve this issue, can’t go unnoticed. As humans, we have this incredible ability to come together in times of need and even with the communication crisis, the California community has done everything in their power to find resources that can help locate their loved ones. When faced with these tragedies it is essential that communication platforms are at the forefront. Knowing when to use the right solutions at the right time will ensure that you’re well equipped to handle these scenarios.